For Galentine’s Day AND Valentine’s Day, I wanted to share a few of the things that really make my heart go pitter-patter. Coffee is my one true love and I especially adore this french press enamel pin to show just how much I care. The way to my heart is through brown liquor. Preferably in bourbon form. But I also accept scotch and whiskey. I’ll gladly drink them all and protect my coffee table with these embossed leather coasters at the same time. If you want a pizza my heart (sorry, not sorry) you can try and woo me with pizza. 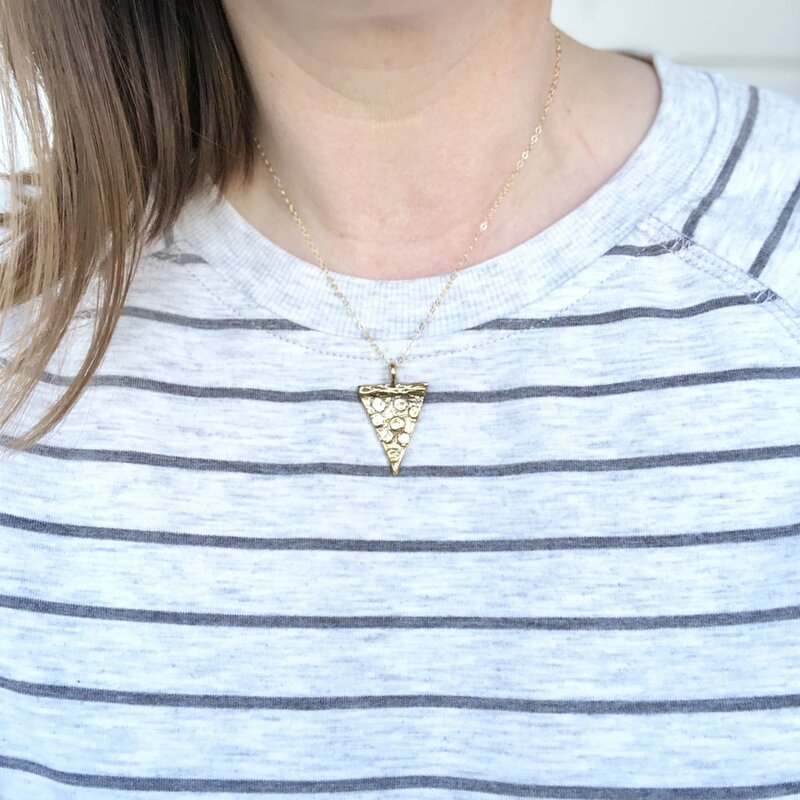 And not just any pizza, but a pizza necklace, so I can wear this little talisman close to my heart.